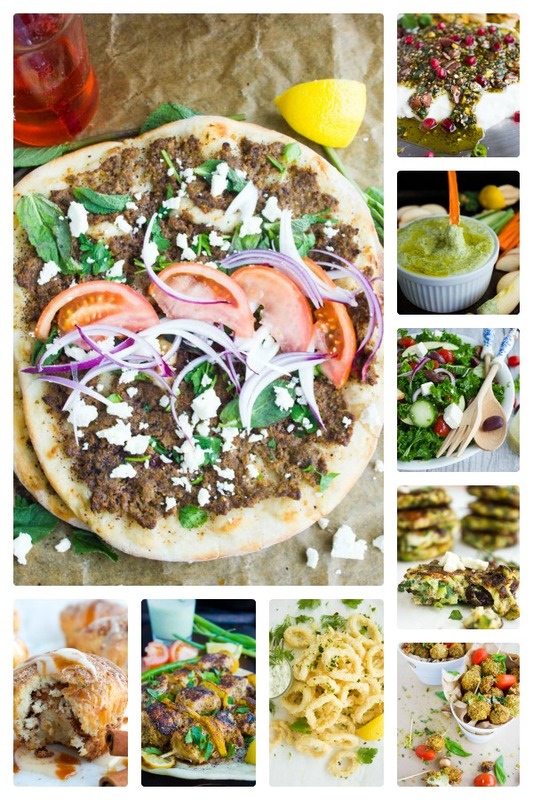 A collection of the best super bowl recipes – all inspired by Mediterranean flavors! Choose your favourite amongst these super bowl dips, snacks, finger foods and desserts and throw a party no one will ever forget! Kick off this Super Bowl with some of my Mediterranean Super Bowl recipes! These super bowl recipe ideas are easy to make, healthy, and made with simple fresh ingredients inspired the Mediterranean Cuisine! You cannot miss out on these Super Bowl dips, snacks, pizzas, chicken or Super Bowl desserts! Well, I’m not hosing a Super Bowl Party this year. Blaaahh that doesn’t feel great. I know. But this year our Super Bowl is different. One of my friends’ mom will be visiting from out of town and my friend decided to host a welcome party/Super Bowl event on Sunday for her. 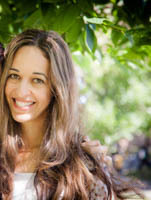 So she asked me for a collection of Mediterranean style Super Bowl recipes and passed these ideas to the other participating families so we can all turn this Super Bowl Party into a happy potluck! With this collection of Super Bowl recipes, I would like to showcase not only Italian cuisine, but also some of the many, many, many other coasts of the vibrant Mediterranean! These super bowl dips, snacks and desserts are all a fabulous twist on the Super Bowl classics, so you won’t miss any of your favorites. If you’re looking for fried goodies, pizzas, dips, chicken, salads, you name it, you’ll find it here in this Mediterranean Super Bowl recipes round up! 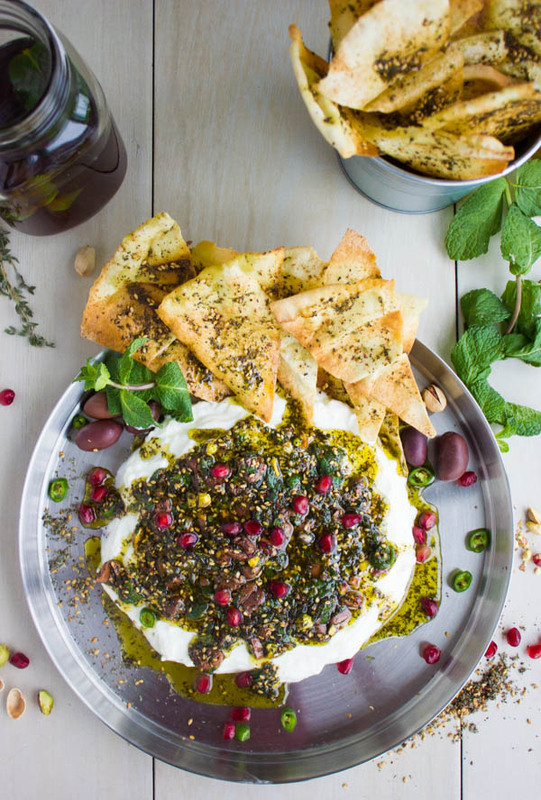 Labneh Dip with Zaatar Pistachio Mint Olive Topping: An incredibly light super bowl dip that’s boosted with a flavorful topping you can’t resist! Use Greek yogurt if you can’t find labneh! 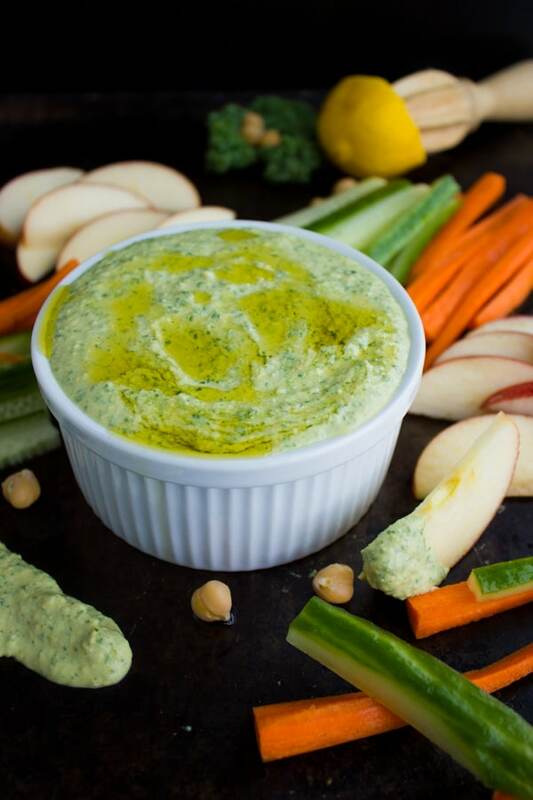 Garlic Kale Hummus Dip: The only thing that’s better than hummus is this garlic kale hummus. A super bowl dip that even kale haters will LOVE! 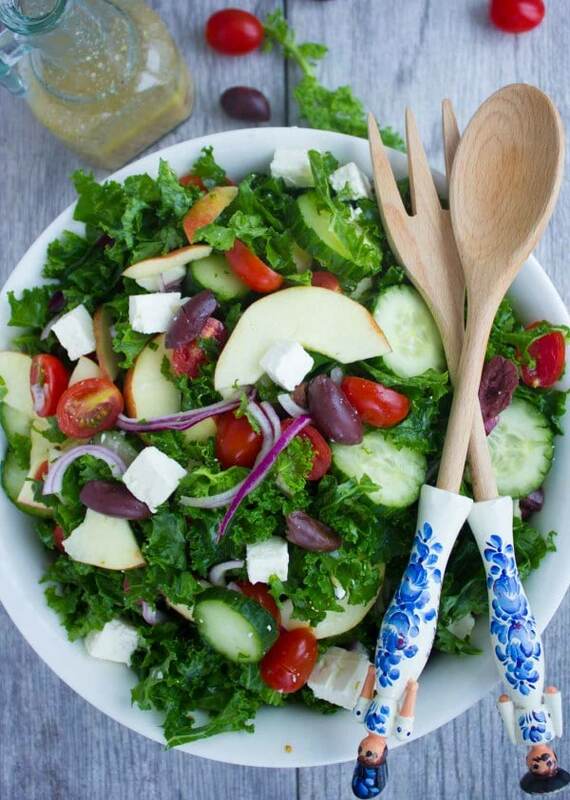 Healthy Kale Greek Salad : This light, crisp and salty Greek salad dressed with a sweet honey Greek salad dressing is the top choice for a healthy super bowl snack! 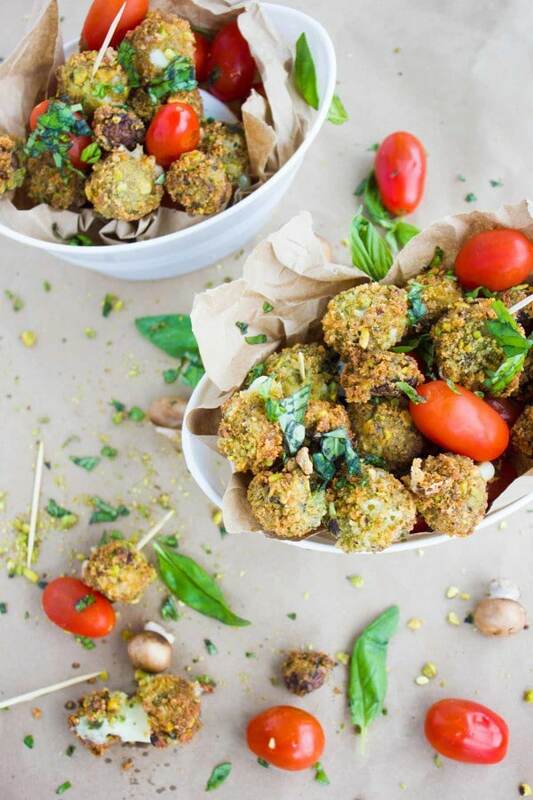 Pistachio Fried Caprese Bites: A five-star Italian twist on fried cheese and Caprese salad! Super Bowl finger food deluxe! 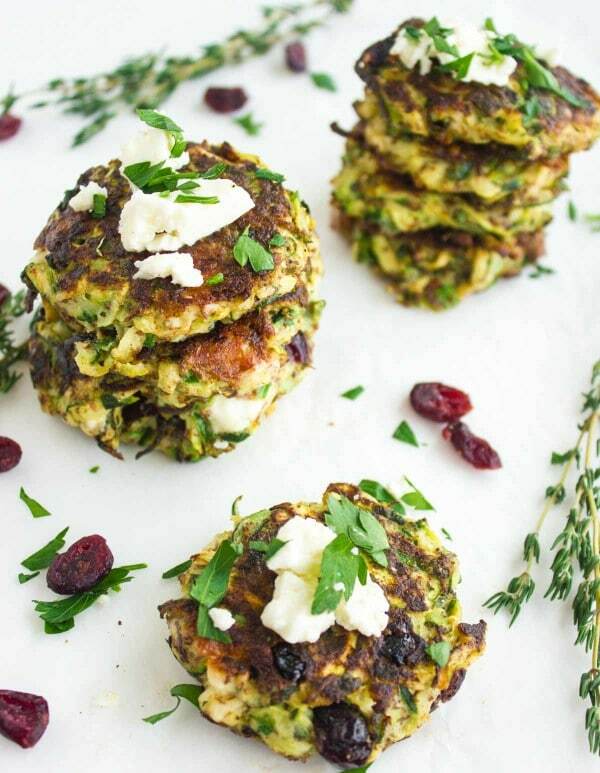 Zucchini Feta Cranberry Fritters: Have your veggies with these sinfully good feta and cranberry fritters! The perfect vegetarian Super Bowl Snack. 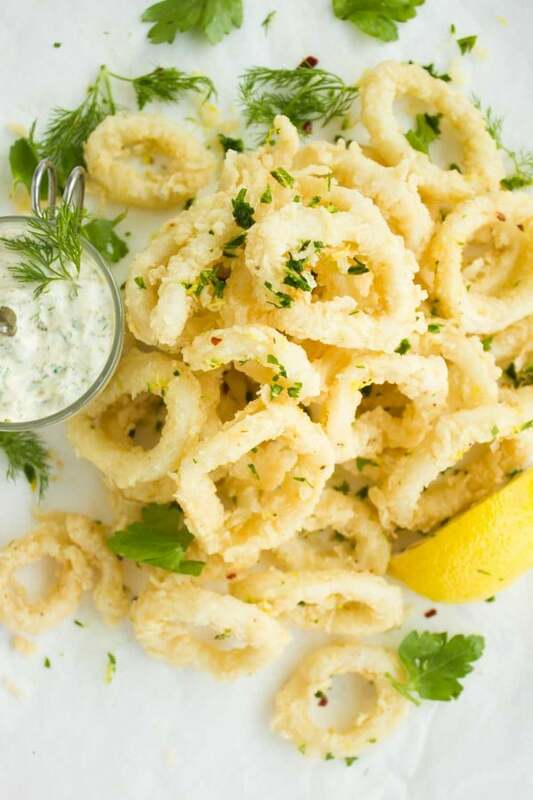 Zesty Calamari with Tartar Sauce: This fried super bowl snack classic comes with tips how to make perfect calamari! 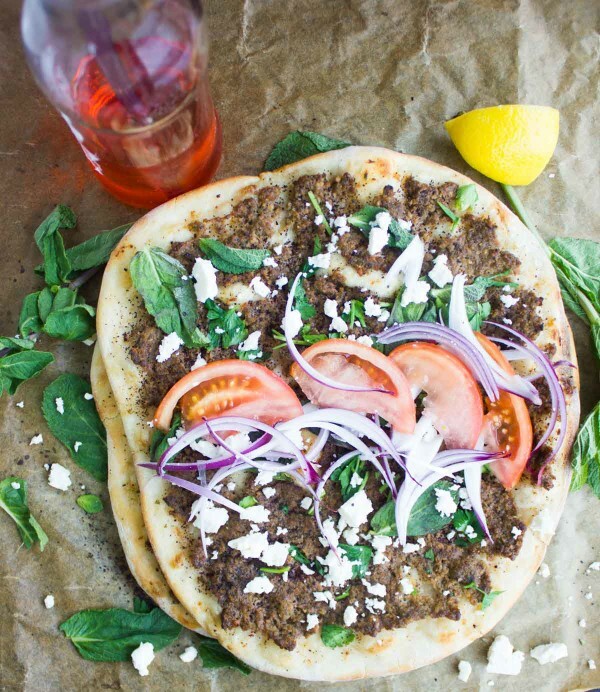 Turkish Pizza Lahmacun: Pizza is great Super Bowl food – especially when loaded with a spicy beef/lamb topping and topped with fresh mint, feta and onions! Eat your Turkish Super Bowl Pizza rolled up into a wrap! Turkish Style Chicken Skewers: No marinade no fuss! 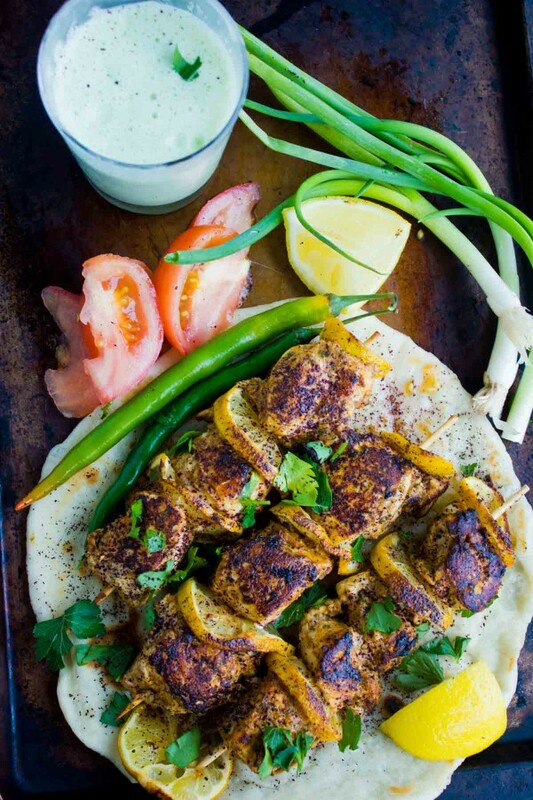 A load of flavours for chicken skewers served with a refreshing mint yogurt drink! 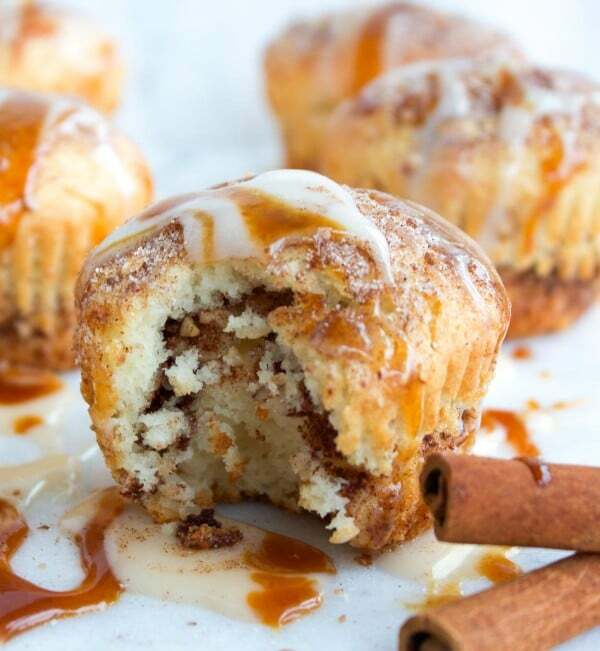 For dessert, we’re CHEATING on the Mediterranean theme because these Cinnamon Roll Muffins were put on the menu by popular demand! Now with this fabulous collection of Super Bowl Recipes, you should be all set to host an unforgettable Super Bowl Party! Pick and choose from these great dips, snacks, finger foods and desserts and add some of your all-time favourites to create your ultimate super bowl snack buffet!